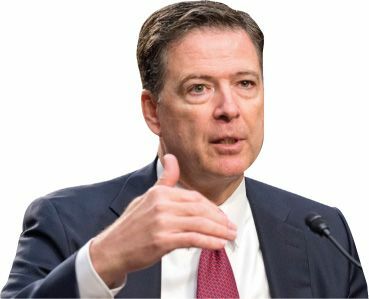 Comey: Did he damage Trump? Trump’s defenders are in denial, said Ali Soufan in TheAtlantic.com. As a former FBI agent, I can read “between the lines” of Comey’s testimony, and he said several things that should keep Trump and his lawyers up nights. He made it clear several of Trump’s campaign aides are under investigation for their mysterious contacts with Russia—“and Trump was the head of the campaign.” When the Feds build a case against an organization, they start at the bottom and work upward, “turning” the lower ranks into informants as they go. And look who’s already under investigation: Flynn, Trump son-in-law Jared Kushner, former campaign adviser Carter Page, and former campaign chairman Paul Manafort. “Bear in mind, too, that obstruction of justice is just as much a crime as collusion with a foreign power.” When asked if the president had obstructed justice, Comey said he was “sure” the special counsel—his friend and FBI mentor Mueller— would make that part of his investigation.